When management at Nissan set about planning the second generation of its multi award-winning LEAF electric car, they knew that the original car would be a tough act to follow. The first generation LEAF was officially launched in Japan in December 2010 and worldwide a few months later. With more than 300,000 units sold worldwide (up to January 2018), the Nissan LEAF was awarded the honorable title of ‘The World’s all-time, best-selling, highway-capable, electric car’. Nissan’s all-new LEAF offers more battery range, more technology, more interior space, more advanced safety equipment and higher build quality than ever before. Nissan have made over 100 changes to the new car as a result of feedback from customers of the original LEAF and the end result is simply amazing. 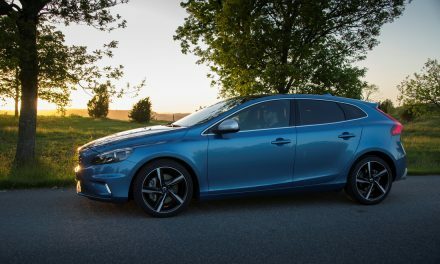 Changes to the way that new cars are tested now means that all new cars are subjected to a new ‘Worldwide Light-Duty Test Cycle’ (WLTC) standard which offers a more realistic figure in terms of battery range for electric vehicles (EV’s) and fuel economy in terms of conventional engine vehicles. Nissan claim that, under the WLTC standard, the new LEAF is good for a range of 269km on a combined mix of roads, or as much as 412km in city driving. Driving the car gently and taking advantage of the regenerative power from braking frequently will reward the driver with an excellent battery range. 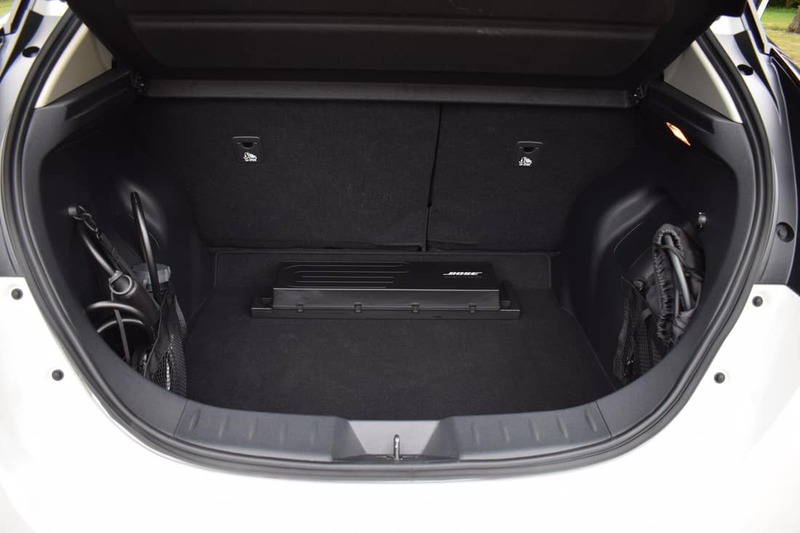 Two charging sockets are located under a neatly designed flap in the nose of the car, while a 3-pin plug cable and a standard charging cable are stored neatly in the boot. Charging will take 21 hours from empty to 100% off a household plug, 7.5 hours with a home 7kw charger or you can get an 80% charge in 40 minutes from a 50kw fast charger. New technology fast-charge units are due to be rolled out in the next 12 months which will, potentially, allow the car to receive an 80% charge from empty in as little as 10 minutes. The all-new Nissan LEAF is available in three trim levels – SV, SV Premium and SVE. 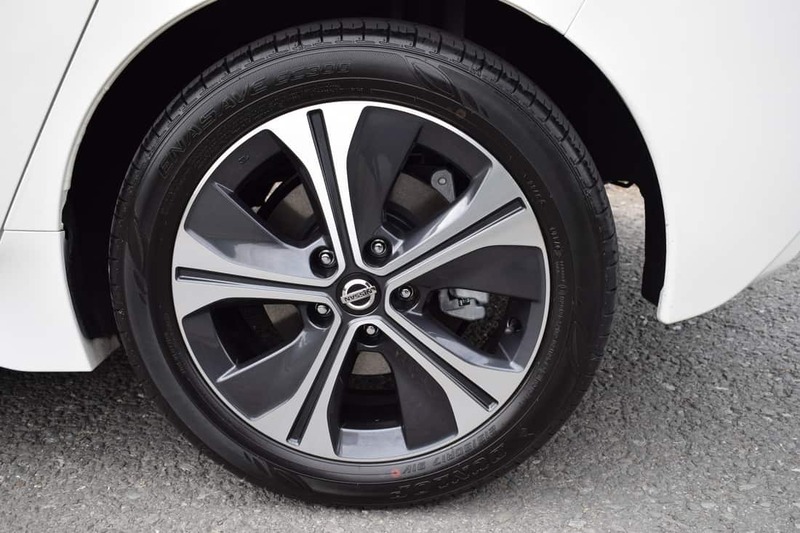 Standard specification across the LEAF range is hugely impressive, with even the entry-level SV model coming equipped with features such as 16” alloy wheels, rear privacy glass, leather multi-function steering wheel, a heat pump, intelligent cruise control, Nissan Connect infotainment system and many more safety, technology and comfort features. Step up to the SV Premium model and you will also get an Intelligent Around-View Monitor (a network of cameras, which provide a 360-degree birds-eye view), Moving Object Detection, front and rear parking sensors, B-pillars in gloss black finish and upgraded 17” alloy wheels. Range-topping SVE specification also includes a Cold Pack (heated leather seats front & rear and a heated steering wheel), a BOSE premium audio system with 7 speakers, intelligent automatic LED headlights, signature LED daytime running lights and ProPilot with level-two autonomous driving technology. This selectable system will steer, accelerate and brake the car on roads where it can see the road markings and the car in front. 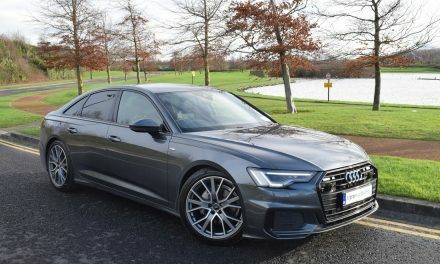 Consisting of a network of 12 sonar sensors, five cameras and three radars, this ingenious system can enable the car to park itself and control the autonomous emergency braking (which will also spot pedestrians, plus warn of cars in your blind spot or those driving past as you’re reversing). 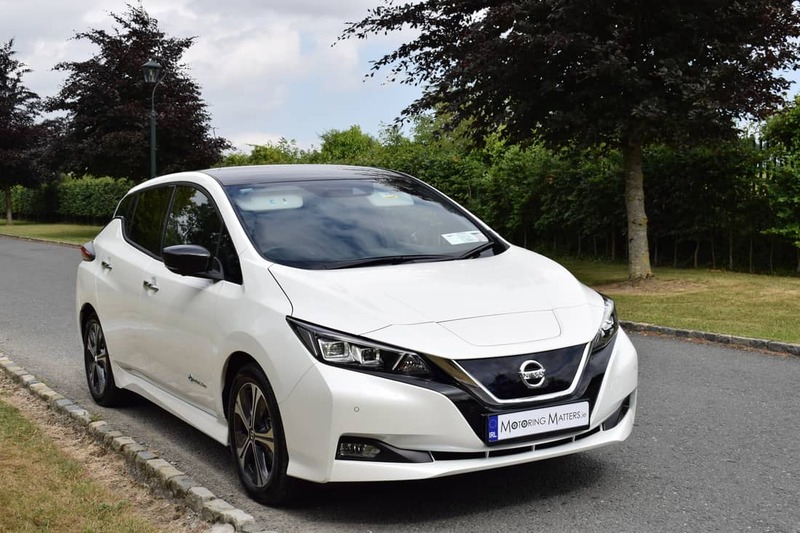 My test car was a new Nissan LEAF 40kwh SVE model finished in stunning Pearl White metallic paint with a contrasting Black Metallic roof and door mirror casings for a truly ultra-modern look. 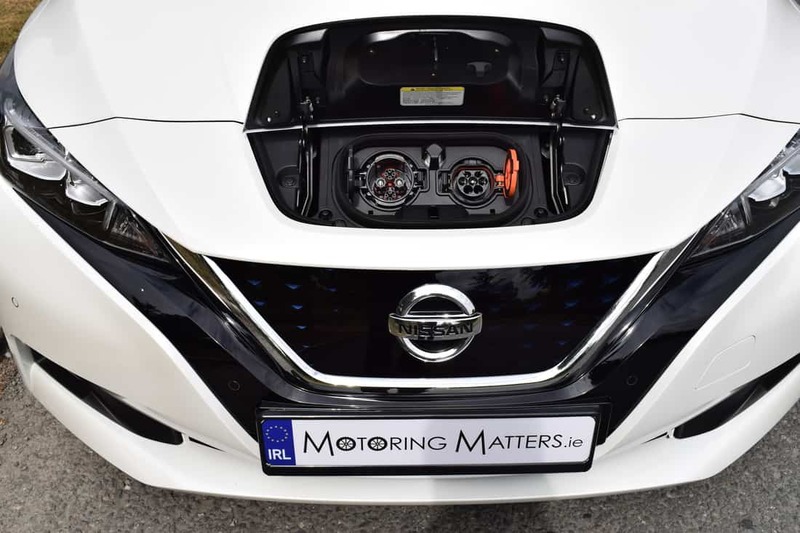 In terms of acceleration, Nissan’s new 40kwh battery pack and inverter will propel the car from 0-100km/h is a lively 7.9 seconds. 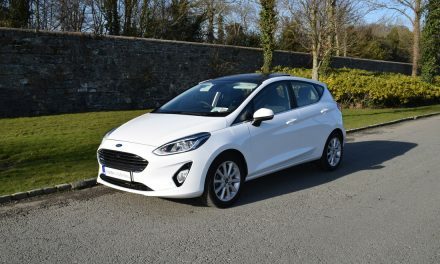 Press the accelerator pedal and you will be rewarded with an instant and seamless rush of torque – which is 26% higher than that of the first generation LEAF. As a result, the new LEAF is so easy and pleasurable to drive, while a quick flick of the, centre-console mounted, automatic gear knob is all that is needed for forward or rearward motion. The electronic parking brake is released automatically once the accelerator pedal is pressed and this feature enhances the simplicity of driving the new Nissan LEAF. Standard across the new Nissan LEAF range is stunning new technology which Nissan calls the ‘ePedal’. Selected by a toggle switch located by the gear selector, the ePedal allows you to drive the car with one pedal alone. Enough braking effort is applied when you lift off the accelerator to slow the car to a complete stop, while the brake lights illuminate at the back of the car in the normal fashion. It is a new way of driving that takes a little bit of getting used to, but eventually becomes second nature and fun, too. The use of the ePedal is entirely optional and a brake pedal is located in the usual place for drivers who prefer to brake for themselves. On the move, the new Nissan LEAF is extremely serene. A gentle electric motor whine is barely audible upon acceleration and, apart from that, some tyre noise is all that you will hear. 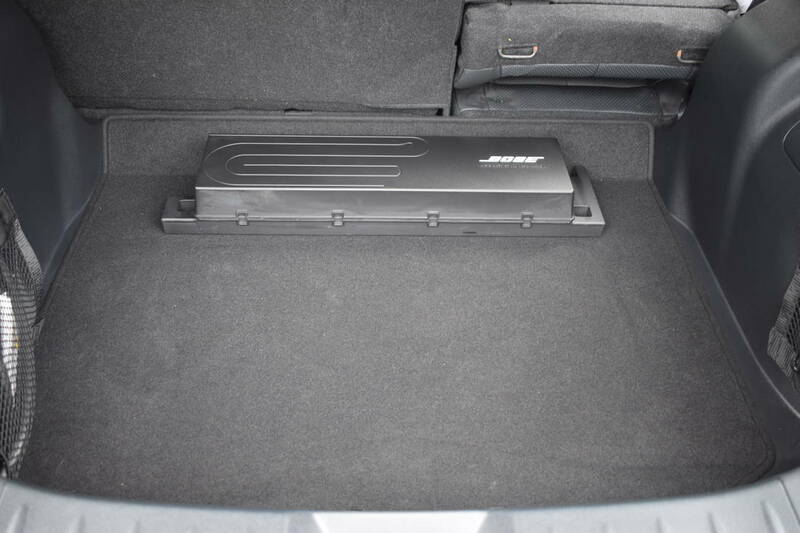 The new 40kwh battery pack is the same size as the old car’s 30kwh batteries so no extra space is needed to house them. The car’s centre of gravity is 5mm lower, while the steering is quicker than before allowing the car to react better and more comfortably to steering inputs, while it stays much flatter through corners. 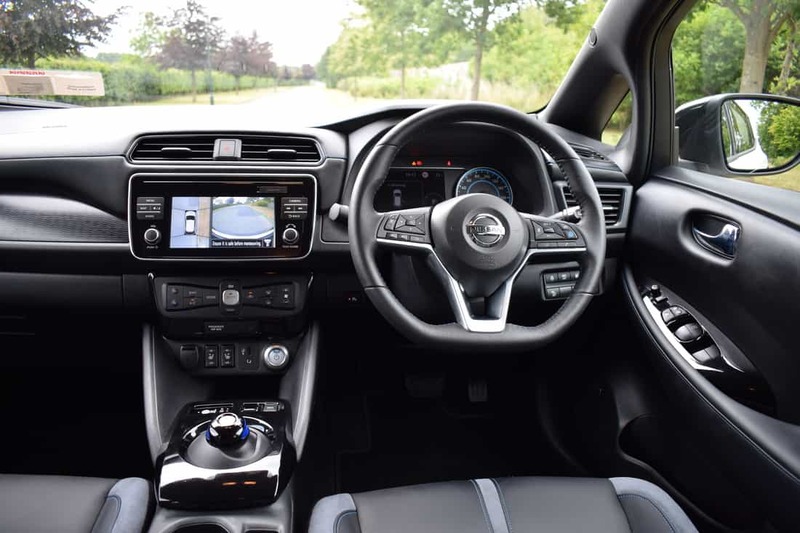 Nissan’s engineers tuned the new LEAF’s suspension in the UK for the European market and, by using the same ‘Intelligent Chassis Control’ technology as in the Qashqai SUV, have endowed the car with excellent driving dynamics. Nissan’s standard satellite navigation system (complete with a 7” touchscreen) will help in locating electric vehicle (EV) charging points along your intended route and is intuitive to use and initiate. Cabin space in the new Nissan LEAF is sure to be more than adequate for the average family, while the boot is an impressive 435-litres with the rear seats in place. 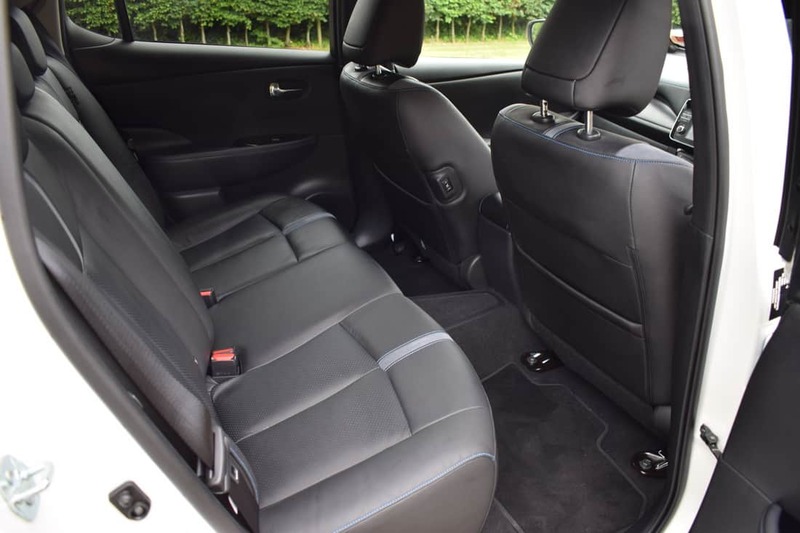 Build quality throughout the car is excellent and the materials used feel durable and family-friendly. With the all-new LEAF, Nissan have brought to the market, a very attractively designed, technologically advanced and highly desirable car, which will prove itself to be easy on the pocket too. Thanks to ‘zero emissions’, an annual road tax disc will cost just €120. 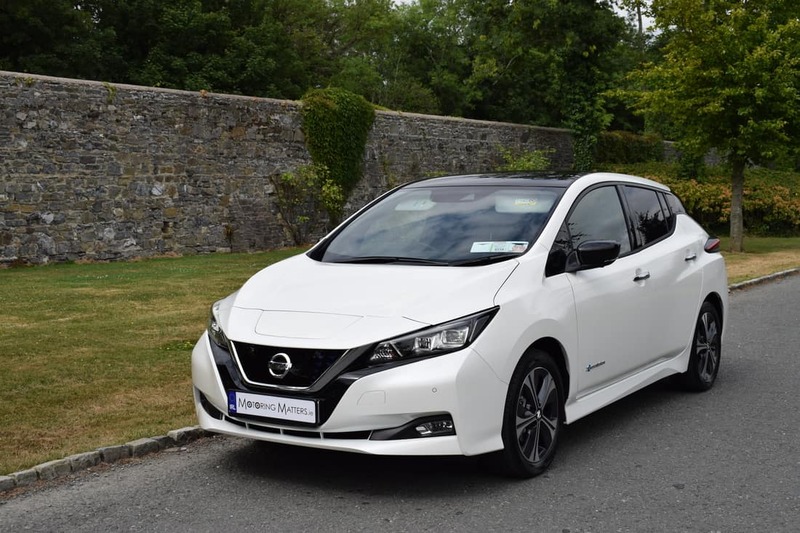 The new Nissan LEAF SV model is priced at €29,690, while the SV Premium is €30,940, with the SVE model priced at €33,600 and all represent outstanding value for money in every respect (all prices quoted are inclusive of a €5,000 Government / SEAI Grant for private buyers). Nissan’s 3-year/100,000km warranty is standard across the entire Nissan passenger car range. 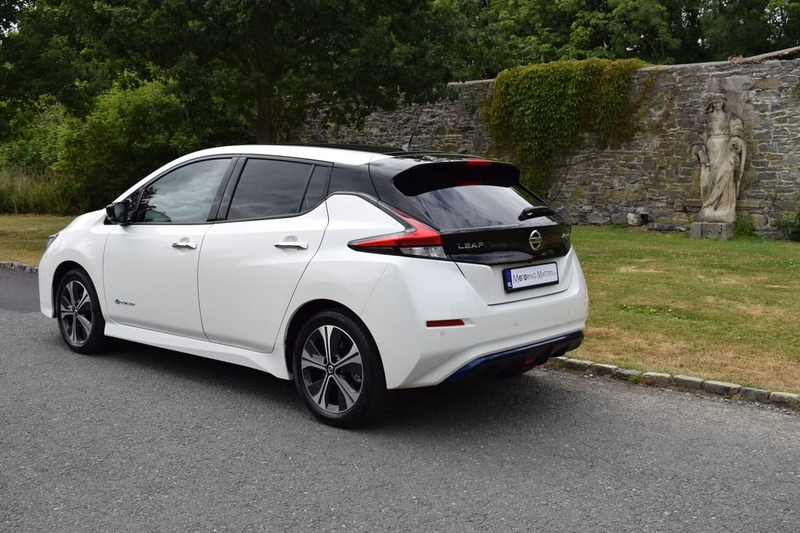 The new Nissan LEAF is more exciting, more confident and more connected than ever before and is a very convincing proposition for buyers looking for an electric car with so much on offer. It really is ‘Simply Amazing’. New Škoda Kodiaq ‘SportLine’ On Test.